Complex appliances require complex installation. And when the installation is complex, there's an additional expense of hiring a technician. 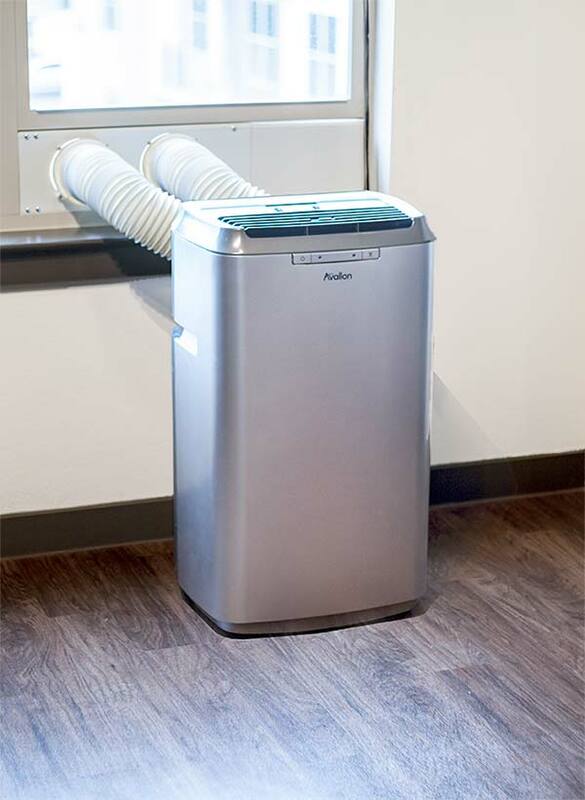 Saving that money, the portable air conditioners are a drag and place units. No complexity involved. And these units can be good for people with low budgets, busy schedules and relatively moderate temperatures. The split AC systems are always appreciated for their ability to cool different places differently. However, the downside is that an installed split unit cannot offer to cool to a place where there is no unit installed. But here's where the portable unit comes in. Move it and move it anywhere. Being lightweight and easy to drag, you can run these units in any zone of your home. For the accommodation issues, these units offer one of the best resolves. They can be installed in the window but if you love to free your window, there are other ways too. Install them at the side of the room or the middle of the room, they don't mind. Also, being small in size, it is easy to keep them without getting bothered by them. What to consider when purchasing a portable Air Conditioner? - The unit should have the feature of automatic turn off. This will help save energy in the long run. Other than all the above-mentioned reasons, one reason why Portable is a good choice for many is that Portable Is Affordable.